In general, the workshops range from 40 – 50 minutes, sometimes less for the younger grades. However, Joseph has performed some classes for 90 minutes. He will adhere to the teachers’ needs or requests and extend classes where it’s needed. Kindergarten – 4th Grade: When presenting to the youngest of elementary students, Joseph has requested to set the stage as a general assembly (usually in some type of multi-purpose room) with the students sitting in a circle around Joseph and a table of several different instruments. Since he plays the woodwinds, flutes and saxes are displayed and they include flutes from all around the world. 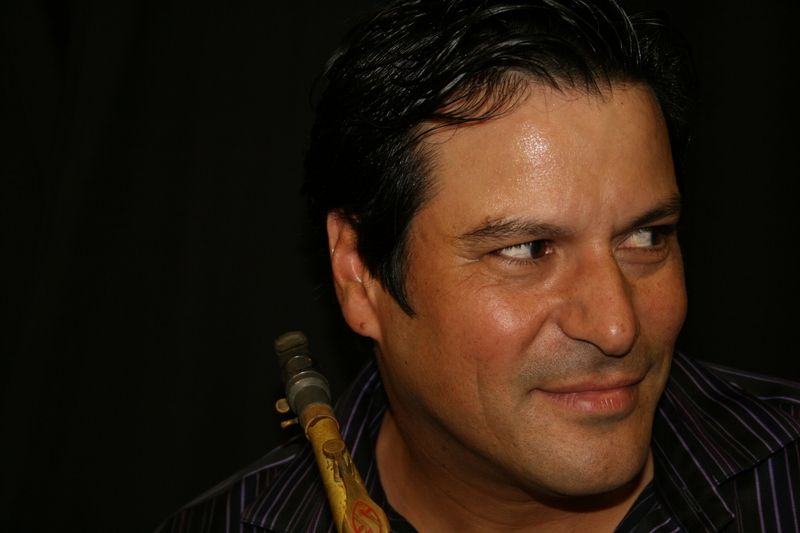 He demonstrates the various flutes and the styles that are appropriate to the instrument’s country origin. 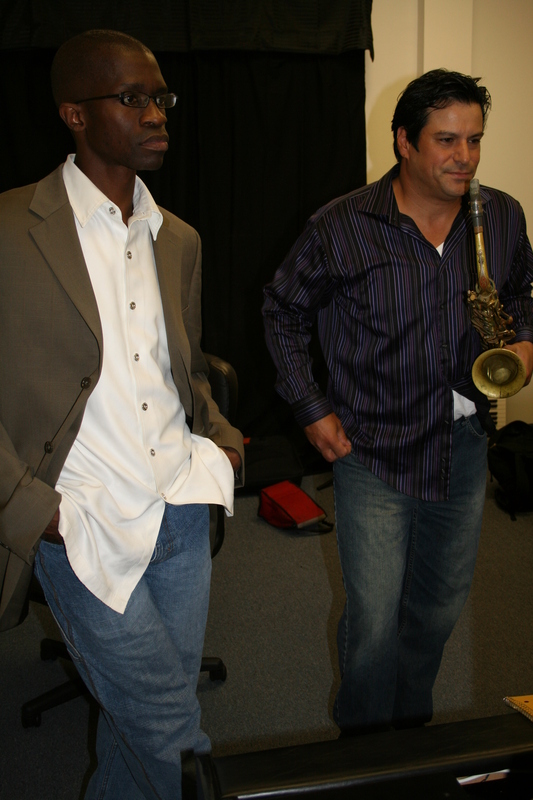 On many occasions, Joseph has performed with a jazz pianist where they demonstrate improvisation. They ask the students to pick a key (by choosing a letter from A – G) and pick a genre of music (by giving them 3 choices to choose from). From their suggestions the musicians make up a song right then and there. It is a very effective exercise for the students to see how music is created. Middle School Students: As a past teacher, Joseph knows that these grades are difficult in holding their attention. Even though he uses improvisation exercises similar to the younger students, he spends ample time teaching them how to identify their individual talents and weaknesses, not in music, but as a person. He does this so that the students learn how to focus on the right things to practice in order to achieve their goals. As well, he spends time on goal setting, time management, and learning how to identify individual interests. He talks about his school experiences and what dedication it took in order for him to become fluent with music so that it brought a high level of enjoyment. Of course, he performs so that the students see his strong passion for music (especially improvised music). High School Students: Joseph has created many opportunities to speak to high school students, presenting his musical ideas and philosophies on dedication. Joseph’s story is compelling as he discusses that his passion for music was strong as a young high-schooler, but his nerves would get the best of him. He talks about his dedication to practice, learning what to practice and learning about himself along the way – playing to his strengths and avoiding his weeknesses. His result was first chair in all of the bands that he competed in, including All-State Band. Aside from his playing, that speaks for itself, he approaches his study in a very systematic way, similar to what he learned from Chick Corea and Wynton Marsalis. He has learned how to manage his time and (ultimately as an adult) his money. These are things that students of interest will appreciate and want to hear as they approach college and adulthood, especially from someone who is succesful within their own field or any other field for that matter. 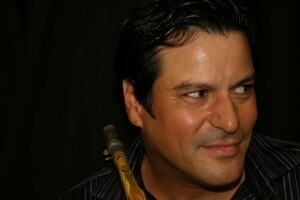 “>Jazz Bands: As a jazz artist himself, teaching and performing with jazz students is a natural. Aside from stressing dynamics and big band techniques, he spends ample time on improvisation because this where the student is no longer just “playing in the group”, but having an opportunity to create something new altogether. He is a big advocate of learning how to “let go“ through creativity. In the jazz band, that is improvisation. Concert Bands: One of Joseph’s favorite ways of teaching (and his most effective) is literally taking over the classrom as “teacher-for-the-day”. In the shortest of times, Joseph will bring out the best of students in a performance platform once he has heard them play. He teaches them sectional balance, how to listen to each other, dynamics, the role of the instrument in the band and of course, he spends time explaining the importance of scales which any teacher will applaud.